Commissioned interactive installation for the University of Arts in Philadelphia. Created by the Flux Foundation non-profit of which I am a co-founder and lead artist. The artwork of this non-profit is the core of my current art practice. 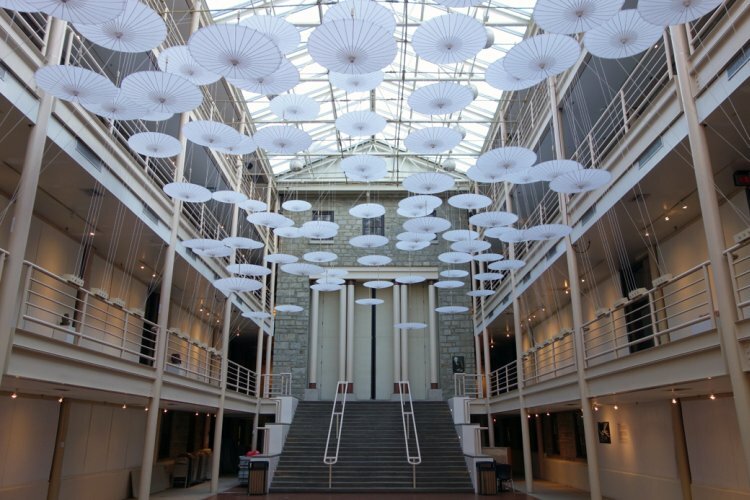 Canopy, 2013, Paper Parasols, Tie line, Bamboo, Chopstick, Variable x 40 x 100 ft.